The bodies of his stepsons Ryder and Radek MacDougall were found along with their father's. SPRUCE GROVE, Alta. 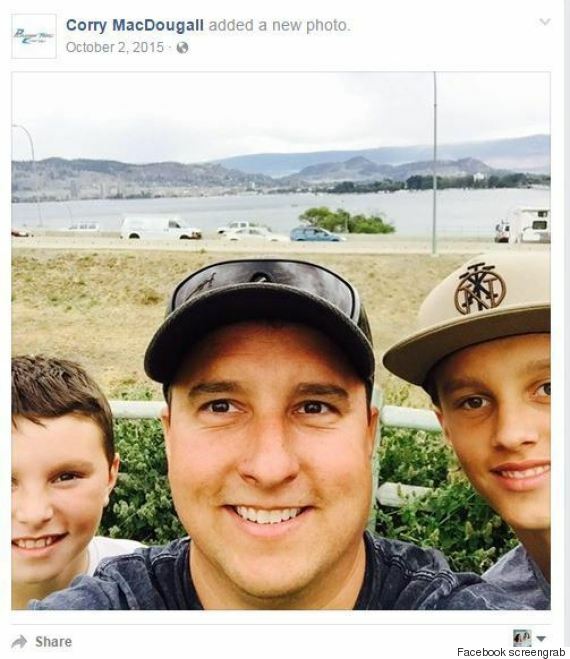 — Corry MacDougall took his two sons to their hockey games, and coaches say nothing seemed amiss, the day before the three were found dead in an apparent double murder-suicide in their home west of Edmonton. The boys' stepfather, Brent Stark, told local media that he and his wife, Tracy, made the discovery when they arrived to pick up the children. Stark, owner of the Whitecourt Wolverines of the Alberta Junior Hockey League, said the boys had been killed by their father, and called him a coward. A memorial in the snow outside the house included hockey sticks, teddy bears and notes for the family. A vigil was to take place later Tuesday in the town of Whitecourt. Corry MacDougall sat quietly during Ryder's last game, and chatted with a videographer who was recording the play, added Ansell. A parent in the stands said MacDougall also asked her that night about the schedule for a tournament over the Christmas break.